I Corinthians 13:7 — Cynicism is the inclination to believe that people are motivated purely by self-interest. 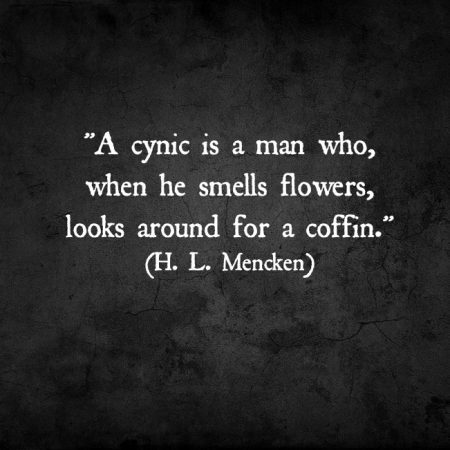 A cynical person is overly skeptical, constantly distrustful and generally pessimistic. We live at a deeply cynical time in history. People are more distrustful and contemptuous of institutions than ever before. Unfortunately this attitude can find its way into our relationships and into our hearts. So what does the Bible have to say about cynicism? That’s what we consider in this lesson and we discover why cynicism is such a deadly poison for the Christian.